Ex-presidential aide, Doyin Okupe has written a lengthy piece on the recent Chairmanship Tussle going on in the PDP among Candidates from the South-west. 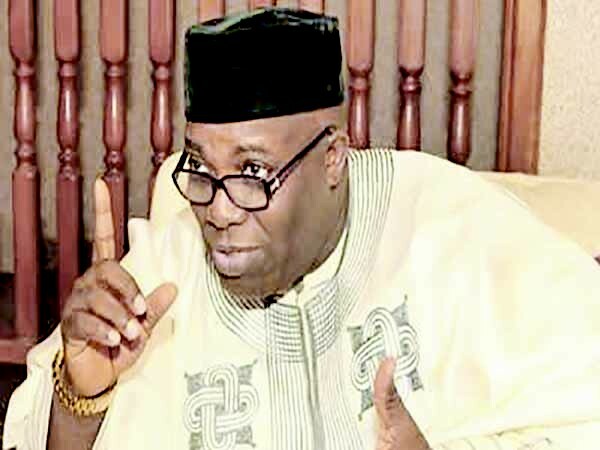 Okupe urged aggrieved parties like Chief Olabode George, who pulled out of the race on Friday, not to blame Governor Nyesom Wike of Rivers state, who is backing a candidate from the south-south, Uche Secondus. I read about the withdrawal of chief Bode George from the PDP chairmanship race and i was greatly saddened. Right from the time of the late sage chief obafemi awolowo till date, the Yoruba race have never truly gotten it right politically at the National level. The only success we ever recorded politically at the Federal level was the victory of obasanjo at the Presidential polls in 1999. Ironically it did not have the input of the Yoruba in it, and vintage Yoruba's poor political judgement, the offer of this unprecedented national "gift" (concession) following the unjustifiable denial of MKO Abiola's mandate and unfortunate death was randomly rejected throughout the Yoruba nation. Throughout history Yorubas are only able to view national politics from only their own perspective always expecting the other nationalities to appreciate their innate and exemplary qualities and accept same as basis for favouring them (Yoruba) in a competitive situation not withstanding the interests and desires of other nationalities. Truly wether the Yorubas are deserving of the national chairmanship of the pdp is neither here or there. It is quite curious to me that the North has gotten the President and the east the vice president without any struggle or sweat and the Yorubas are killing themselves and begging for a post whose relevance is short lived and will require the goodwill and kindness of a soon to be elected presidential candidate to have any leverage on future political and government appointments . So what is the logic behind putting some of our bests in a race with little or no benefit for the zone and one that we are obviously disadvantaged to run ab initio? And if we can actually resign at the 11th hour why did we not seat down, at the early stages and agree for one person to go for it while all others step down and back him with our collective resolve and resources? if indeed this was not all a personal championship race for the candidates and not a struggle on behalf of or for the interest of the Yoruba in the pdp. And if we really wanted to play politics, we could have approached the northwest zone and make a deal money, which none of the yoruba aspirants has, cannot buy. the northwest is as desperate for the presidency as we are for the chairmanship. We present them with one candidate and agree to back them in the Presidential primaries which is currently being dominated by Atiku from the north east, presently. Obviously " the fault is in us not in our stars". We cannot blame or demonize Wike or Secundus or even criminalise the process because of our lack of the much needed political sagacity to achieve our set goal. The lesson from history and all of this is that we Yorubas, as a foremost race in this country cannot achieve much politically relying on sentiments or goodwill of others. we need to be coldly calculative and strategic in the pursuits of our political goals and objectives.